Free download Golden Axe Myth PC Game. 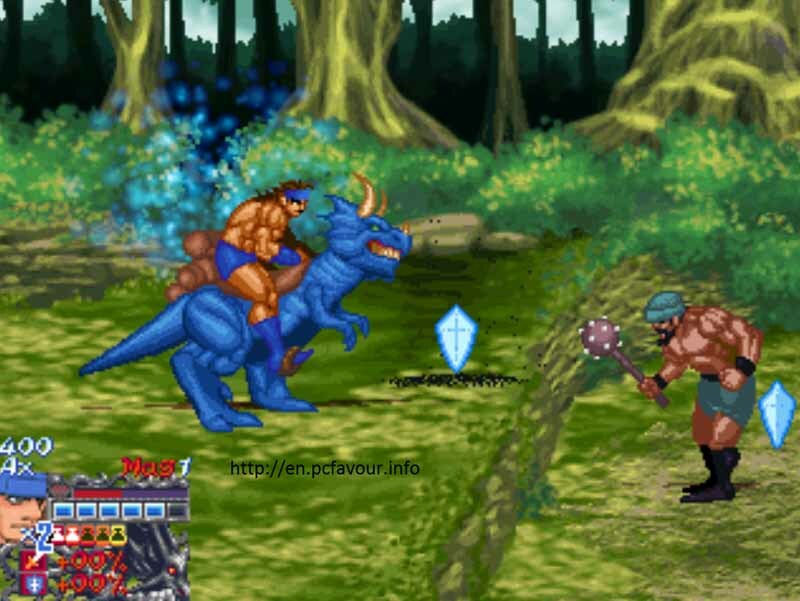 It is updated version of famous Golden Axe game by SEGA. This game is a two player game. There are two modes of game; story mode and duel mode. In story mode, you will continue to get back stolen Golden Axe and make a story by killing the enemies during each round end with killing a boss. There are four players and you can select any of them; Ax Battler, Tyris Flare, Gilius Thunderhead and Death Adder. There are different types of enemies such as Longmoan, Heninger, Storchinaya, Harpy, Lizardman, Little Dragon Bad brother and much more. There are six bosses in this game which are Bitter Knight, Big Adder, Mega Giant, Obscure Titan and Dragon Master. Duel mode consists of rounds. In each round you have to kill all enemies which will appear instantly when a round will start. In this mode, you will also face some rounds with a boss only. Gameplay is very usual and easy. By default, the screen resolution is very small. You can change it from Options > Video Option. You can increase the resolution or also can disable windowed mode and enjoy the game in full screen mode. To move the worrier, you have to use arrow keys from mouse. To fight and action there are four keys; A, S, D, F. If you want to attack an enemy, you will use A key. Similarly to block an attack from enemy, you will use S key. D key is use to jump and F key is used for a magical attack. There are four status bars for each worrier which are different for each. These bars are healt, magic, speed and power. There are also some bonuses such as apple which is used to restore some enery. A drumstick is used to restore you half energy or health and Roast Meat will restore your all energy. There are also some extra bonuses e.g. key, coins, defense+, card, bottles and much more.